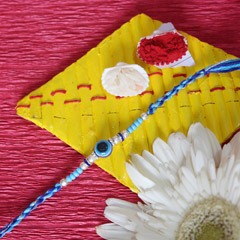 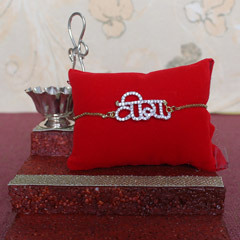 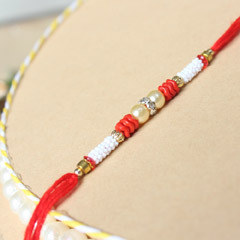 Om Rakhi like this one is hard to find anywhere. 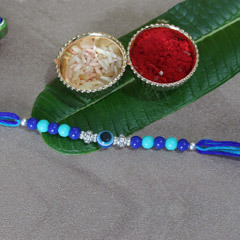 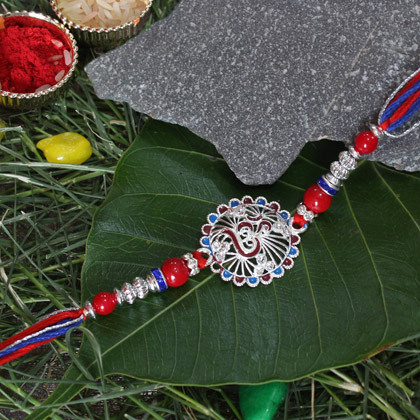 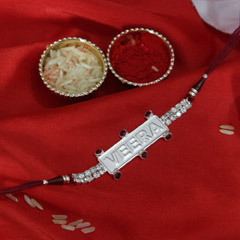 The intricately designed Om symbol in the center of the Rakhi and use of red, blue and silver beads of varying sizes and shapes are giving a wonderful charm to this Rakhi. 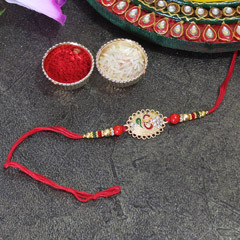 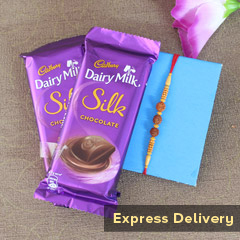 Your dearest brother will also love getting his wrist tied with such an attractive Rakhi on auspicious occasion of Raksha Bandhan.